You’re Invited to Talk United! Lend your voice. Raise your hand. Make a difference. Creating opportunities for conversations is a powerful way to bring people together. We have a chance to share, learn more about our neighbors and join in helping improve our community. 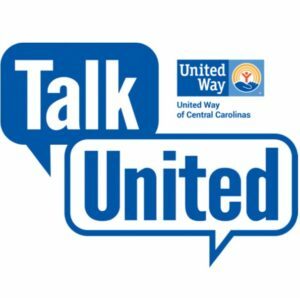 People across our region regularly come together at United Way of Central Carolinas events to discuss a wide range of topics from diversity and inclusion, to professional development and community engagement. Over the past several years, our engagement groups have regularly held community talks like Young Leaders’ Coffee & Conversation series and A-LIST’s Boardroom Business series, with guest speakers that have included Charlotte Mayor Vi Lyles, City Manager Marcus Jones and Council Member James “Smuggie” Mitchell, among others. 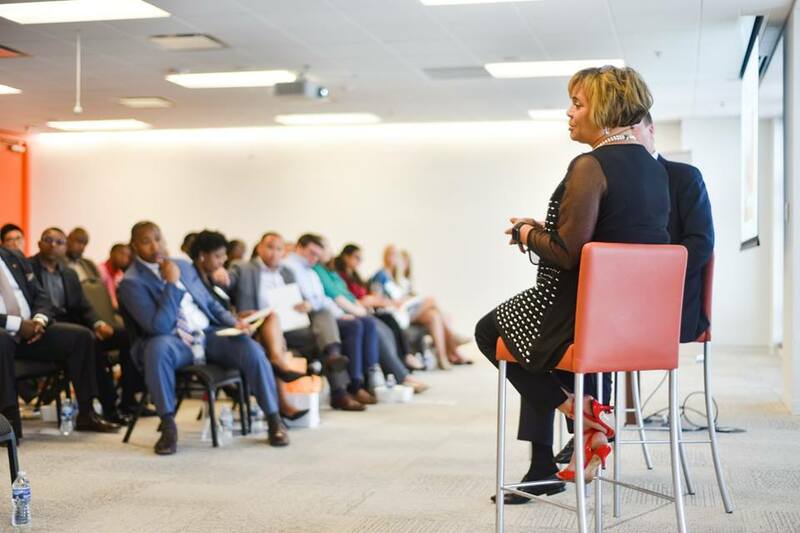 United Way also hosted hundreds of community conversations three years ago to gain insight used to shift the organization’s impact strategy to focus on improving economic mobility in our region. What we heard consistently through those conversations was a desire to help make our community more cohesive. Today we’re launching Talk United – a conversation series focused on bringing people together to discuss challenges and solutions for our community. Talk United kicks off this October, with a full schedule of events to be announced as we move into the new year. The first event in our Talk United series will be hosted by United Way’s Young Leaders group and includes a live recording of the podcast “R&D in the QC,” hosted by City Council Members Tariq Bokhari and Larken Egleston. The duo will be joined by Jania Massey, founder and executive director of Philanthropy Circle 365 and a Unite Charlotte grant recipient. You will have an opportunity to join in the conversation and find out how you can become more involved in shaping the future of Charlotte. The event is free, but registration is required. Sign up today!